Then boy do we have paint for you! 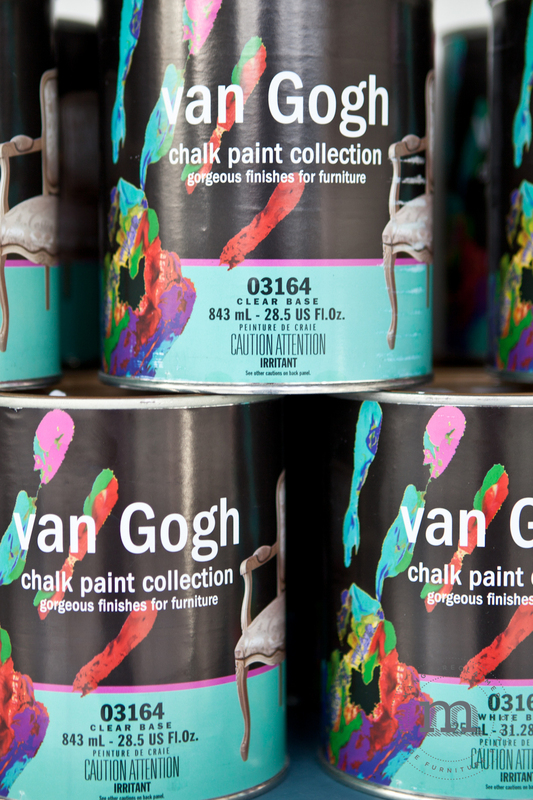 I'm thrilled to let you know that Mango Reclaimed is a certified retailer of both the van Gogh chalk paint collection and Miss Mustard Seed's Milk Paint! If you're not sure what these paints are all about I would be glad to bring you up to speed. 1st let me tell you about the amazing van Gogh collection . . . Truly empowerment in a can! A glorious selection of colours to excite your inner designer and because sanding and priming is generally not required with this paint you can just open a can, stir and get right into the fun stuff! Check out these colours! Oh yah, did I mention that it's Water-based, eco friendly, low VOC and made right here in Canada? Amazing! The van Gogh collection also includes a super durable Table Top Finish and a lovely non toxic all natural beeswax in both natural and french caffeine. Use this wax to create a beautiful finish on your freshly painted furniture. I love this wax! Now let me tell you about the glorious Miss Mustard Seed's Milk Paint . . . Milk paint provides a completely breathable coating and is ideal for painting wood furniture and a variety of other surfaces. It's environmentally friendly, non-toxic, contains no VOCs and is also made right here in Canada! Gorgeous colours!! Milk paint comes in powdered form but a quick mix with water and you're good to go. With the Milk Paint Bonding Agent you can use Milk Paint on all kinds of surfaces such as varnished surfaces, ceramic tiles, metal, glass etc. Without the bonding agent, Milk Paint will resist some prefinished or prepainted surfaces to achieve an authentic “chippy” look. 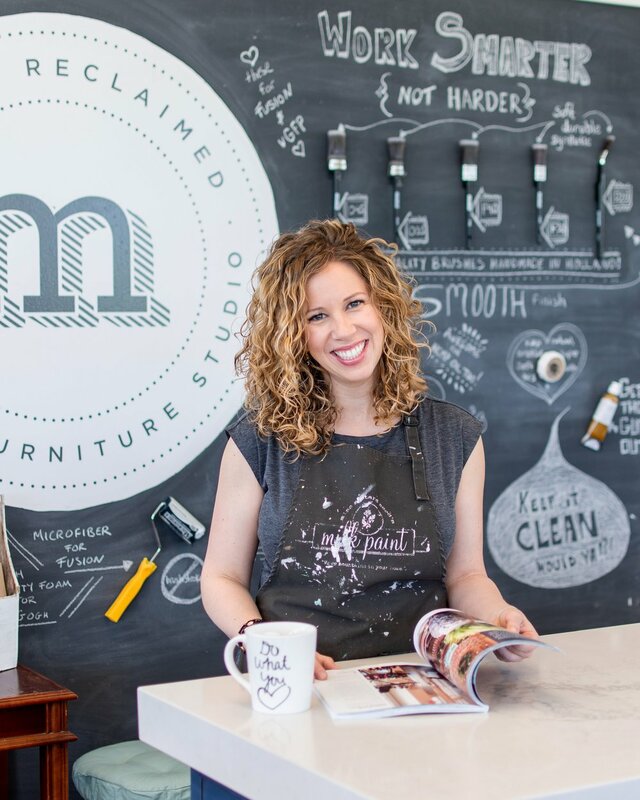 In addition to milk paint the Miss Mustard Seed line includes great finishing products including furniture wax, antiquing wax, wax pucks, hemp oil, etc. 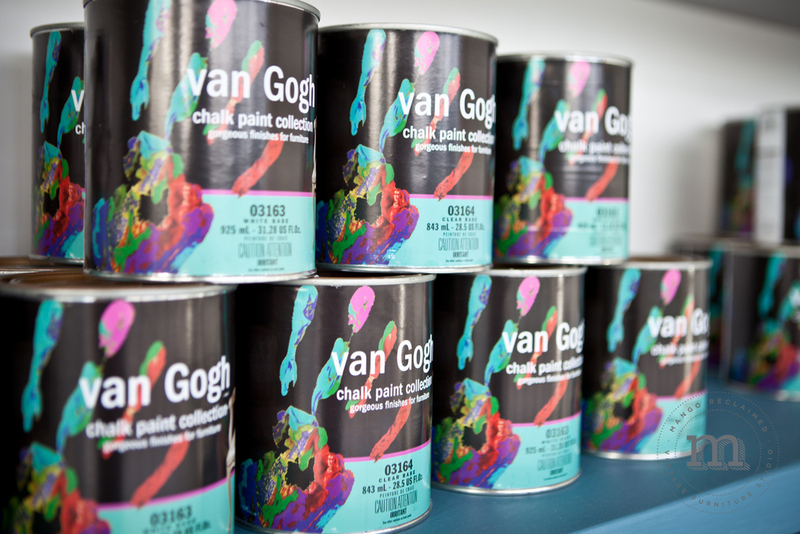 As you may know the studio is not quite open yet, however if you are just itching to get your hands on some of this fabulous paint, we are here for you! Starting this week, the 'still somewhat messy' studio at Mango Reclaimed will be open for business Wednesday, Thursday and Friday between 12noon and 5pm. If you have a project you want to get started on, there is no need to wait! *currently accepting cash only - please see 'our products' for product pricing.